REITs often attract a great deal of investors because of their strong cash flows and dividends, and those investors often overlook other parts of the business, choosing to analyze the company under a different set of criteria than companies in other sectors. This can create a problem in that it becomes difficult to compare a REIT to an industrial, which is fine if you use the typical top-down approach to stock selection; however, a top-down approach invites speculation in the fact that you are theorizing which sector will perform well going forward. Benjamin Graham taught that we should avoid speculation as much as possible, which is why it is critical to develop a system for analyzing companies that will allow them to be compared across industries. This is best done by utilizing a systematic approach to analysis that will provide investors with a sense of how a specific company compares to another investment opportunity. By using the ModernGraham method one can review a company’s historical accomplishments and determine an intrinsic value that can be compared across industries. 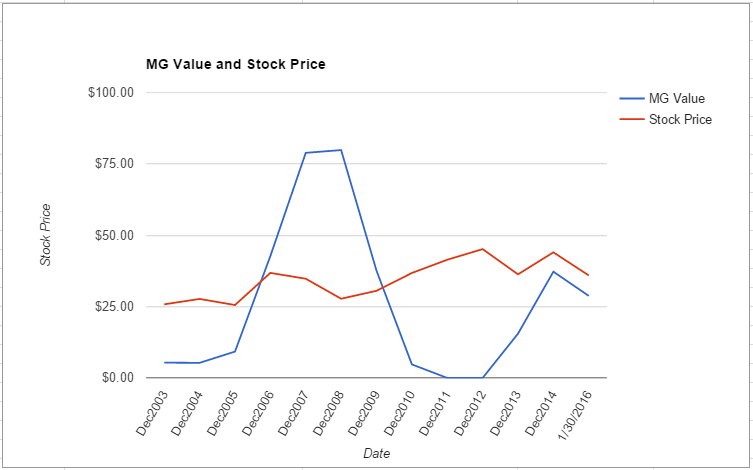 What follows is a stock analysis showing a specific look at how Macerich Co (MAC) fares in the ModernGraham valuation model. 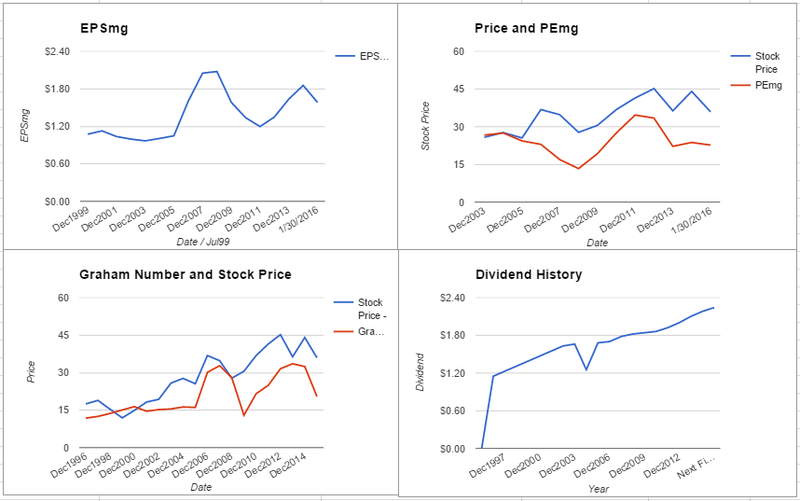 HCP Inc qualifies for the Enterprising Investor but not the more conservative Defensive Investor. The Defensive Investor is concerned with the low current ratio, the insufficient earnings growth over the last ten years, and the high PEmg ratio. The Enterprising Investor is only initially concerned by the level of debt relative to the net current assets. As a result, all Enterprising Investors following the ModernGraham approach based on Benjamin Graham’s methods should feel comfortable proceeding with further research into the company. As for a valuation, the company appears to be overvalued after growing its EPSmg (normalized earnings) from $1.20 in 2011 to an estimated $1.58 for 2015. This level of demonstrated earnings growth does not support the market’s implied estimate of 7.11% annual earnings growth over the next 7-10 years. As a result, the ModernGraham valuation model, based on Benjamin Graham’s formula, returns an estimate of intrinsic value below the price. The next part of the analysis is up to individual investors, and requires discussion of the company’s prospects. What do you think? What value would you put on HCP Inc (HCP)? Where do you see the company going in the future? Is there a company you like better? Leave a comment on our Facebook page or mention @ModernGraham on Twitter to discuss.